Giving back is one of ROSS’s core operating principles. Over the years, our affiliates and associates have worked to better the lives of those in need through a range of partnerships, donations and volunteer efforts. At our annual employee recognition event on April 19, our associates once again extended a helping hand to those in need. 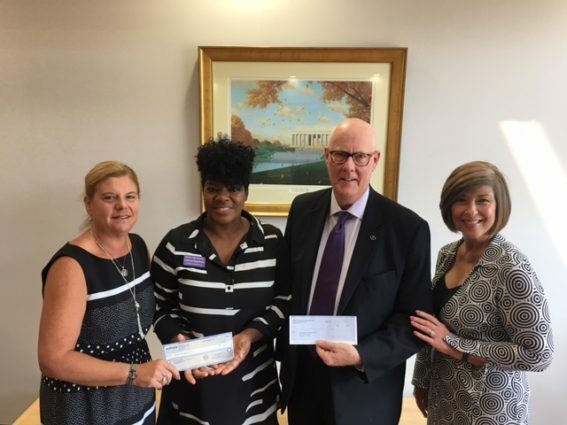 At the banquet, each ROSS team member was given $10 to donate to one of three organizations of their choice: the Alzheimer’s Association, the Cancer Research Institute or the Children’s Cancer Foundation. Our partner Entrata matched each contribution. When all was said and done, our team members and Entrata gave a total of $1,140 to the Alzheimer’s Association, $1,480 to the Cancer Research Institute and $3,380 to the Children’s Cancer Foundation. The Alzheimer’s Association works on a global, national and local level to provide care and support for all those affected by Alzheimer’s and other dementias. For more than 35 years, the association has provided reliable information and care consultation, created supportive services for families, increased funding for dementia research and influenced changes in public policy. 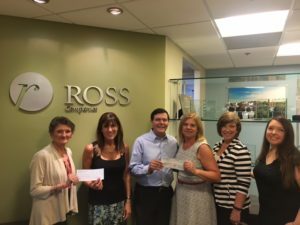 ROSS’s donations went to the association’s National Capital Area Chapter, which serves Washington, D.C., Southern Maryland and Northern Virginia. The Cancer Research Institute is the world’s leading nonprofit organization dedicated exclusively to harnessing the immune system’s power to fight cancers. Its work has led to a promising new class of cancer treatments called cancer immunotherapy; the treatments mobilize, strengthen and sustain the immune system’s natural ability to destroy cancer cells. The institute awards research grants and fellowships to support scientists at research universities and clinics around the world. The Children’s Cancer Foundation is an independent nonprofit that raises money to support facilities, research and programs to aid in the treatment and cure of pediatric cancer. Armed with the dedication of hundreds of volunteers and a small staff, the foundation has awarded more than $36.6 million to hospitals and researchers throughout Washington, D.C., Maryland and Northern Virginia.